Please note that you subscribed to this newsletter either through my site NaturalProstate.com or HealthyProstate.co or by sending me an email that you wanted to subscribe. It would be great if it were as simple as the prostate ads claim: take a continuous supply of this supplement and your prostate problems will be banished forever. You've seen the ads… highly polished and professional with a smiling rejuvenated man. They explain why the powerful ingredients in their proprietary compound of select natural ingredients will take years off your life so you can pee like a teenager. No more waking at night, no more rushing to pee all the time, no more urgency, just a brand new you! Prostate health renewed like magic! Yup, the ads are getting better and more convincing. So you've tried some of them. But nothing much changed like promised. The reality is that for most men, some minor relief may happen if you are lucky, your prostate problem is minor and you catch it in its early stages. But for many, if not most men, the hoped-for relief from that prostate supplement will allude you and you are left with a lot of money spent trying different promised formulas. The reason is that the prostate is a very complex organ and a simple fix of herbs taken orally just won't penetrate deeply enough inside the prostate to effect change. Another reason is that the prostate ingredients are like a shotgun approach. In fact by having so many ingredients, you could well find yourself reacting negatively to one or more of the capsule's ingredients, making your symptoms worse over time. 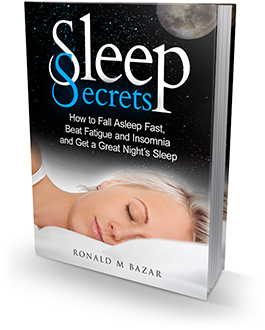 The reason is that you may unknowingly have a sensitivity to one or more foods and herbs. They just won't work as well as the right ingredient that you need. Look, I speak from experience. I have spent tens of thousands of dollars on all kinds of prostate and testosterone supplements and got nowhere with them but poorer financially or temporarily worse symptoms or both! If younger men start out with prostate supplements, they may help them avoid prostate conditions, but for most men the sad news is that the supplements are often a waste of money. The real causes of prostate diseases are pathogens, bacteria and viruses that get into the prostate gland via a weakened immune system at some point when you may have been sick, sexual intimacy with a partner that shared a pathogen, a virus that went deeper into your organs like the prostate, antibiotics that didn't work fully. 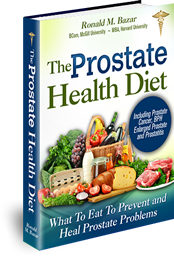 A poor diet adds to the situation by your not getting adequate zinc and other minerals your prostate needs, or worse depleting them from the body by eating foods with anti-nutrients not properly neutralized. Once inside the prostate these causes are difficult to dislodge because of the tough outer protection of the gland and its depth inside the body. That's why antibiotics often do not work well for prostate conditions. The infections create inflammation inside the prostate resulting in the 3 prostate conditions or combinations of them: enlarged prostate or BPH, prostatitis or acute inflammation and pain, or prostate cancer. So instead of getting better by taking medications and supplements, the conditions that created your condition only worsen your symptoms as time goes on. You feel more and more miserable thus leading to the next stage for most men: medical and surgical intervention with regular doses of meds with long-term side effects, or surgeries with the high risks of incontinence or erectile difficulties. Of course all these side effects are played down by the urologists, and the high tech solutions they claim now minimize those effects (so they say). Research the prostate forums and read how many men still suffer or are worse-off afterwards. Sure some may feel better in the short term but over the long term may still face many side effects. Rarely do urologists follow-up on their treatments over the longer term. Instead, dealing with the causes is the only real solution if you have a prostate problem that just won't go away. The solution is to optimize your prostate diet to rid your body of inflammation, to test your inputs for bio-compatibility by using bio-energetic personal testing, to increase positive daily habits like exercising, avoiding smoking and limit alcohol consumption. Other ideas: increase omega 3s, decrease harmful foods with xenoestrogens in them, as well as exposure to them in so many unhealthy bodycare and household products, sleeping better and adequately. Once you learn how to use Personal Testing so you can test your inputs. You then may find a prostate supplement that will help you. But by itself, with no optimization of your daily habits, you are just burning your money!